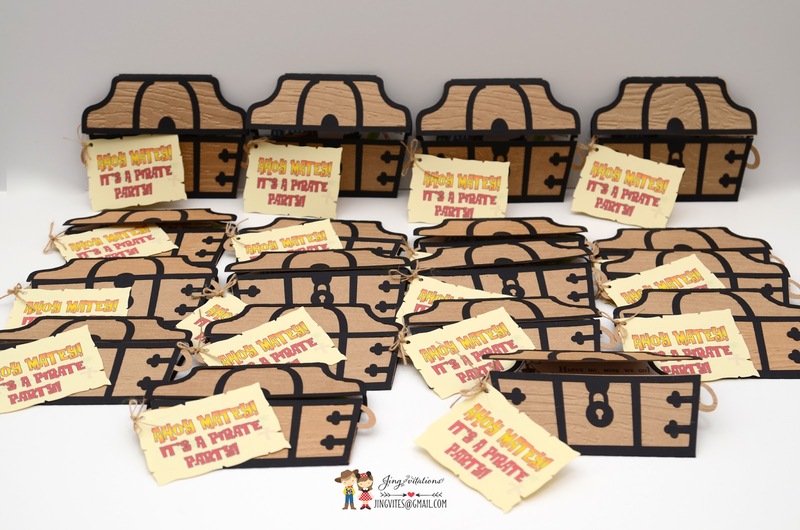 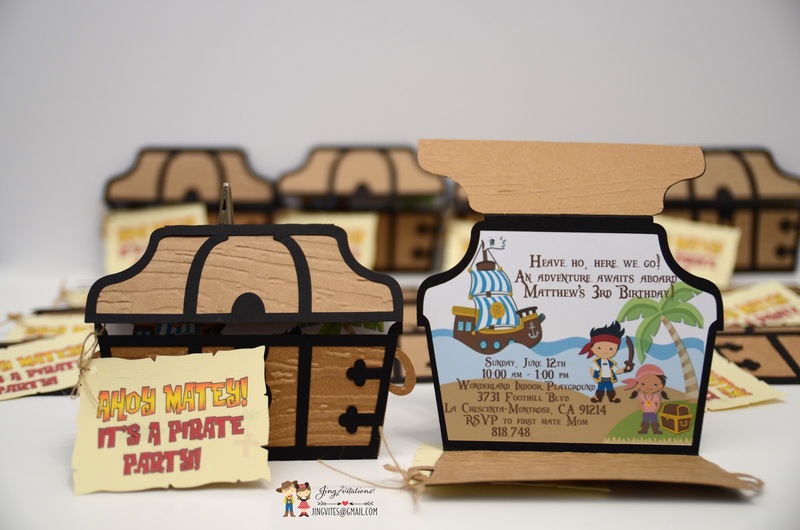 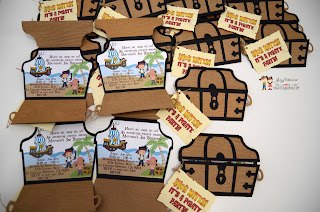 Handmade Jake Pirate Chest Invitations! 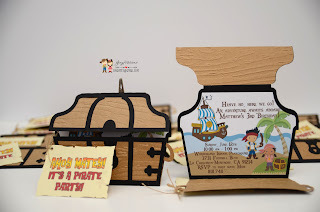 Here are 2 designs currently available. 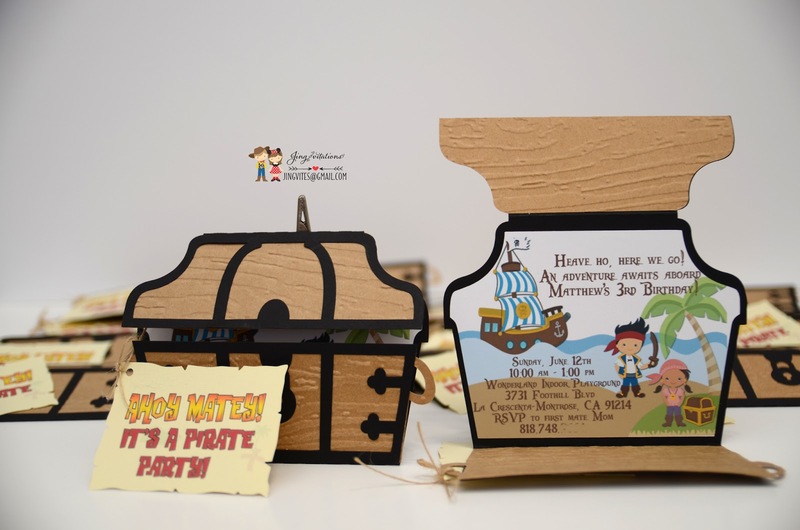 One is the Pirate chest shape, with map tags and the other one is flat invitation with dimensional characters. 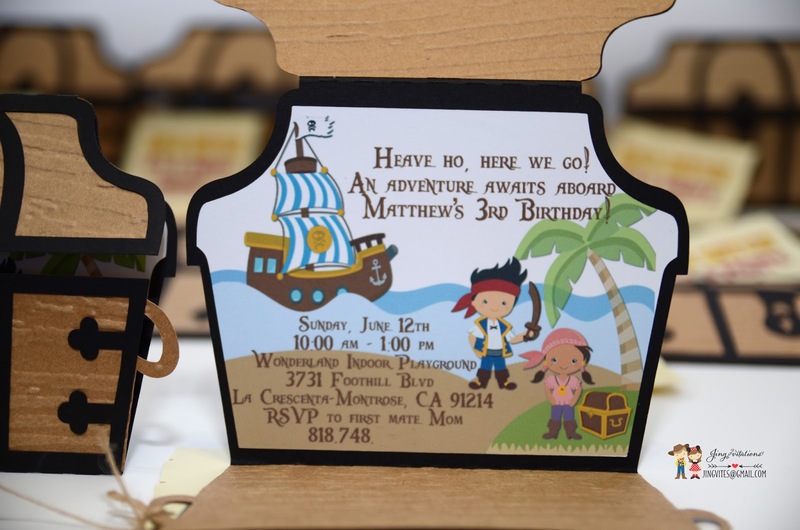 Flat invitation can be done in 2 sizes. 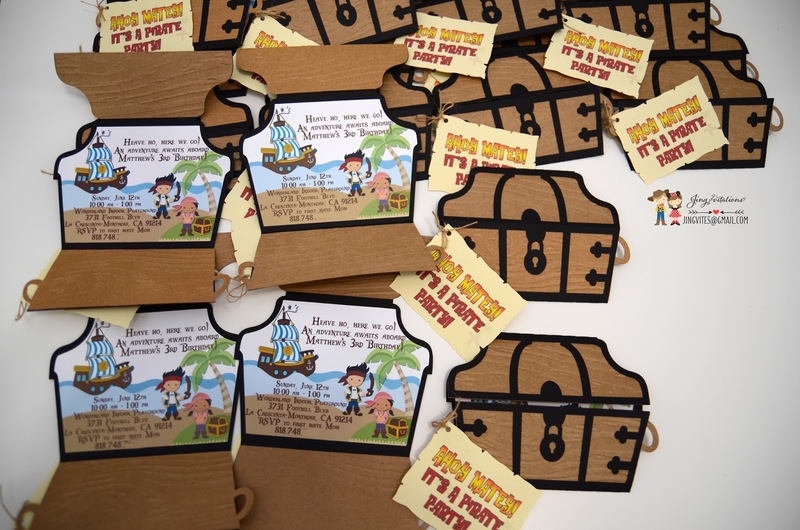 4.25 x 5.5 or 5×7.